Realising the increasing awareness and experience of network members in carrying out global north-south partnerships that challenge paternalistic and neo-colonial models of collaboration and development, we realised we needed to find a way to share some principle ideas and practices to a wider audience. Initially, we imagined the audience of the GCRF UKRI, funders and researchers. In the week of March 4th-8th, we addressed this with a writing workshop co-organized by Dr Mia Perry and Prof Jo Sharp including SFA members and like-minded affiliates. The objective of the workshop was to explore ways of sharing the SFA network’s approach to research and partnerships in international contexts, while challenging the neo-colonial and often very narrow processes of knowledge creation, “development”, and collaboration. The group was interested in the theoretical tools that are required to do so, but also the practical tools (how to engage, how to inquire when clear power, historical, disciplinary dynamics are pervasive). 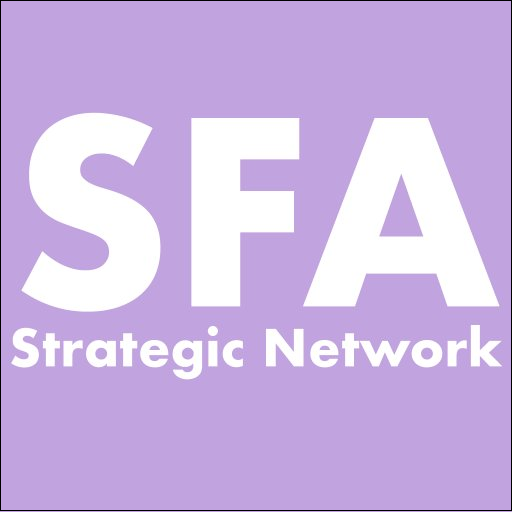 Two events co-organized by the SFA Glasgow hub took place on UofG main campus on March 4th. The morning event was a mentoring session for graduate students from the Global South. Masters students, PhD’s students and mentors (Dr Mia Perry, Prof Jo Sharp, Dr Brian Barrett, Ms Helen Todd, Ms Kevin Aanyu, and Ms Beatrice Catanzaro) discussed how students can translate their graduate experience in Glasgow to a career in the South. A very interesting conversation revolved around a question asked by Dr Perry: “Do you want to go back home after your studies?” The meaning of “returning home” for each student differed, and highlighted the very individual nature of it. For the majority, going back home wasn’t just about going back in their home country and getting a job related to their studies. It was also, and even more importantly, taking the knowledge, skills and expertise they acquired and using them to drive change and make impact. The afternoon session was a panel discussion entitled: ¡Decolonise: the Debate! The event was organised by collaboration between The Sustainable Futures in Africa Network, the Glasgow Centre for International Development, the Equality and Diversity Working Group in the History Subject Area, and the Centre of Gender History. Prof Jude Robinson, a social anthropologist from the University of Glasgow, chaired the session. The panel was composed of: Dr Mia Perry (University of Glasgow), Prof Jo Sharp (University of Glasgow), Ms Helen Todd (ArtGlo – Malawi), Ms Kevin Aanyu (Makerere University – Uganda), Dr Christine Whyte (University of Glasgow) and Dr Kate Law (University of Nottingham). The discussions were centred on these three questions: 1) Why do we use the word ‘decolonialise’ when we talk about the changes we need to make to modern approaches to research and teaching? 2) Does use of the word ‘decolonialise’ reinforce a colonial narrative of Western supremacy? and 3) How can we translate ‘decolonisation of research and teaching’ and what does it mean for all of us who are engaged in it? The panel discussed the use of term ‘decolonise’ to describe projects in universities which are challenging traditional practices that have underpinned international partnership building and collaboration, and the development of existing teaching curricula. They addressed language, technology, theoretical framing, and research methods from a global perspective. All week, interdisciplinary participants met at the CCA in Glasgow to share thoughts and ideas around research and international partnerships to co-create the foundation of a notebook addressing the challenges arising from Global North-Global South partnerships. The targeted audience of the notebook is researchers working on international projects, especially the GCRF-UK funded one (Global Challenges Research Fund). Some clear themes stood out over the week: time, money, capacity building, language and hierarchy in partnerships. To illustrate the challenges of such partnerships, two participants could not join the group, due to UK visa restrictions (Dr Deepa Pullanikkatil and Kyauta Giwa). Next Post What does “Sustainability” mean?